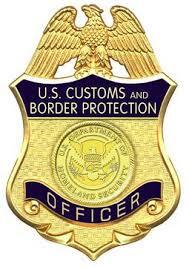 Border Patrol has struggled to hire female agents to help fight illegal immigration. Between October 2014 and September 2015, the federal agency received more than 6,200 applications for Border Patrol job vacancies. But according to the Albuquerque Journal, only 54 women where fired – far below the goal of hiring 1,600 female agents. Women are vital to the Border Patrol because of the influx of Central American women and children immigrants over the past two years. The agency has said female agents are often better equipped to deal with immigrants who are women and children. Women represent about 15% of the workforce in federal law enforcement agencies. But only 5% of Border Patrol’s agents are women. Posted: 9/6/16 at 9:04 AM under News Story.